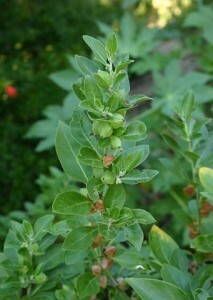 Withania somnifera, also known as Ashwagandha, Indian ginseng. Withania Somnifera belongs to the family of Solanaceae (Potato family). This plant is an erect herbaceous, evergreen shrub of 13 to 150 cm (4 to 5 ft). The stems are covered with whitish colour, stellate hairs. The leaves are ovate entire, thin. The flowers ate bisexual garnish or cured yellow, axillary in clusters of about 25 forming cymes, sessile. The crop can be grown on a variety of soil but, it grows in sandy loom or literate soil with good organic matter and drainage. If the soil is loose it will be easily to dig the root out without damaging them. pH range of 7.5 to 8 is ideal for Withania Somnifera cultivation. Keep up the great work fellow blogger, your hard work is definitly going to pay off.